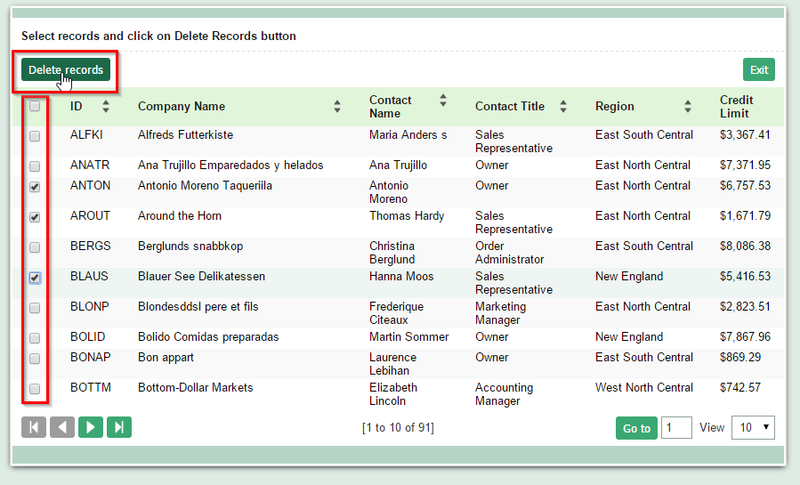 In this example we will see how to create a button in the application of Grid to delete all the selected records. 1. 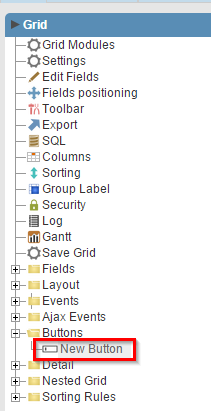 Performing actions on multiple rows of a Grid application can be done creating a new button in the Grid. 2.We will name the field "Delete" and select the type "Run". 3. This kind of button has 2 events to process PHP Codes. onRecord: runs to each record that was selected. onFinish: runs after process all selected records. 5. Now we can use [i] and [total_chked] in the onRecord and onFinish of the Run button. This macro allows to condition the circumstances in which the SQL commands are executed. The "connection" parameter is optional. Required only, if the command is executed in a data base different from the application. $tot = count([total_chked]); Counting the total of checked records. 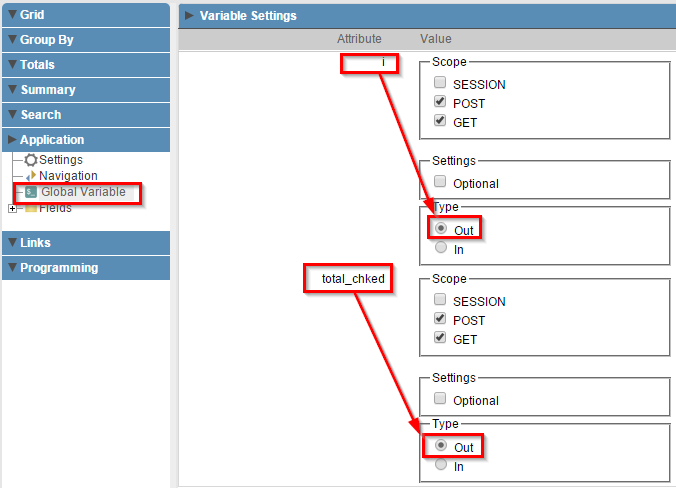 6.Now we should access “Application>>Global Variables” to set [i] and [total_chked] to be “OUT” variables.